Love hosting dinners and get togethers? While we all know it's tough throwing a party in a tiny New York City apartment, there are tips and tricks for a successful night in! And what better insider tip than the perfect place to get all of your must-have glassware and accessories? My dear friend Caitlin of Style Within Reach and Glitter Guide has partnered with her sister Emma to launch Cin Cin Vintage, a vintage glassware and accessories online store. 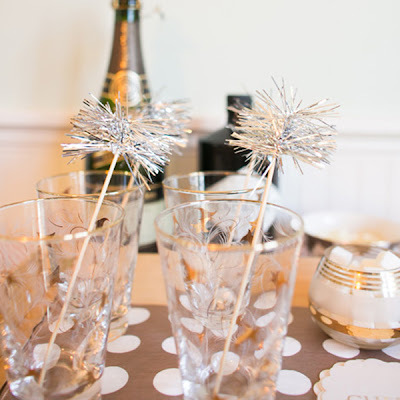 From beautiful, unique glasses for your mini bar to adorable paper straws, these ladies are selling pretty much everything you need to be the hostess with the mostess! Cin Cin Vintage just launched yesterday, so there's great inventory not even on the site yet. 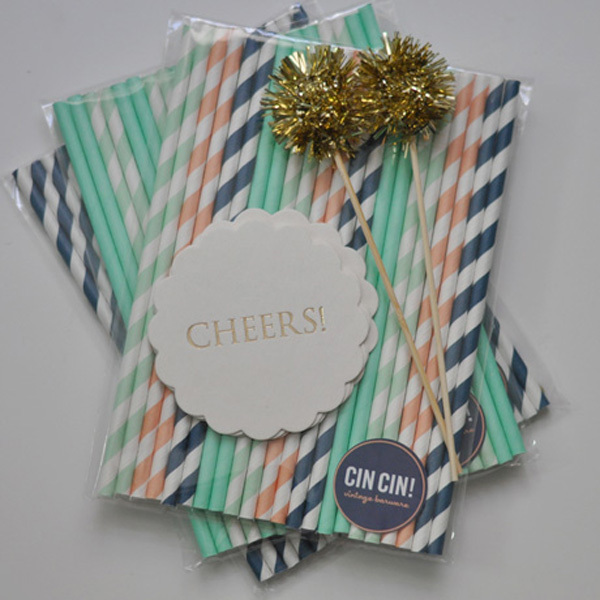 Check back often, as new products will be added each week, like note cards to stylishly invite your guests, coasters to keep your tiny tables clean and even fun sparkly drink stirrers to make your cocktails even more appealing. Seriously?!? This stuff is amazing. I am in love. And, coincidentally it will all go so well with the very crafty "bar" I have made in my apartment. Thank you so much babe! Can't wait to see you soon!